This past summer when we received our schedules, it was announced that we would be making the change from edline to Skyward. Most students and parents were concerned about why we were switching. The teachers were informed of the switch at the end of the school year, and the process began in July. Mrs. Gliem is very fond of Skyward due to its simplicity. When she pulls up a student ,she can view live grades, assignments, schedule, parent information, activities, emergency contacts, and in the future academic history. All that could be viewed on Edline was quarter grades and individual teachers. One of the major changes for teachers is the new attendance policy. Every period they must take attendance on Skyward. The teachers are also encouraged to update grades more often, since Skyward grades are live. “There is always a learning curve with anything new. I’m sure that anyone will eventually get used to the attendance program with some bumps along the way.” said Mr. Goldinger. 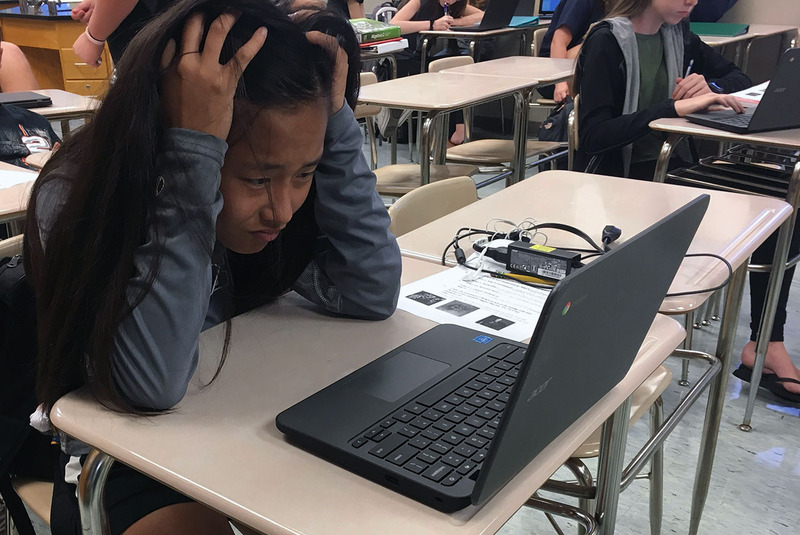 Although administrators are coping with the change, students are stressed over not having access to their grades. This affects seniors applying to college because they cannot see how they are doing. “I’m currently applying, and it’s been really hard especially with weighted classes, and not being able to see summer homework grades,” said senior Kylie Feldbauer. Students were left in the dark about what was going on with the switch. Students received a letter with their schedules saying we were switching with no explanation and no login information. However, some students were able to log on desktop computers. “It would have been better if they could’ve sat us down in the auditorium on the first day and given us information”, said Feldbauer. Students and parents have been given login information coming soon.